CubeBackup - When CubeBackup creates a G Suite snapshot, does it backup all data each time, or only the changes? When CubeBackup creates a G Suite snapshot, does it backup all data each time, or only the changes? CubeBackup uses an incremental backup algorithm, so that only new or modified data is backed up each time. 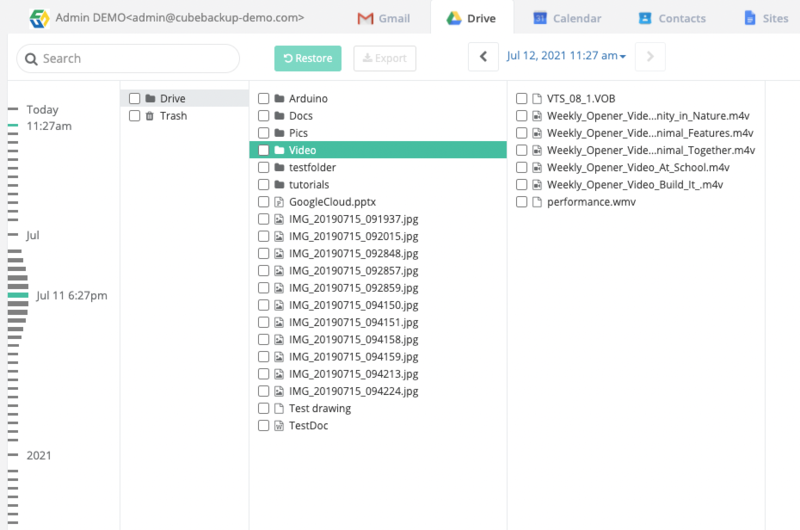 CubeBackup employs a SQLite database to track changes, so that it understands the full version history of all Google Drive files and folders, Google Contacts data, Google Calendar events, and Google Sites files.